My Bibib TBR consisted of 7 books, and while I didn’t expect to read all seven, I was hoping to read 4 or 5. Alas, I did not manage quite that many, but I still got a few, so I’m pleased with how it went! 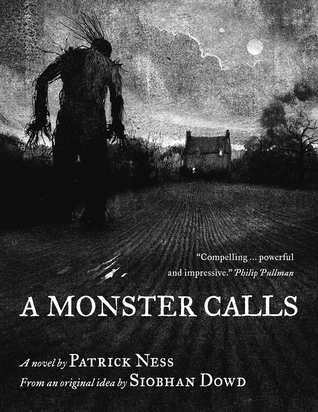 The first day of the bibib overlapped with the 24 in 48 readathon, so come midnight, I read the shortest and quickest book on my TBR- A Monster Calls by Patrick Ness. It only took me an hour and a half to read but it definitely packed a huge emotional punch. This fulfilled the book-to-movie adaptation challenge, but I didn’t end up watching the movie, as I had to take it back to the library. However, I gave the book five stars and I thought it was just absolutely fantastic. Definitely a great way to kick off the week! 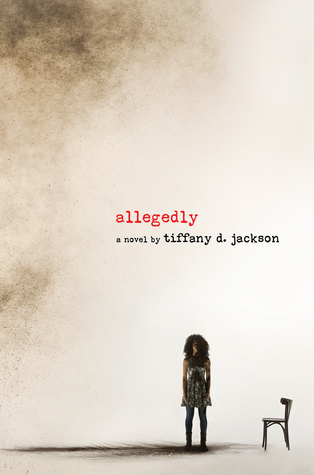 The next day, I picked up Allegedly by Tiffany D. Jackson for the throwback challenge, for which I had picked a book you were really excited for but never picked up. This book has such an intriguing premise of a young girl killing a baby. Allegedly. Maybe she did, maybe she didn’t, but either way, she’s living the repercussions, and now she’s pregnant at 15 in a group home. It took me 3 days to read this book but I think it was worth it! Unfortunately, I ended up giving it 3.5 stars because I just felt that the ending was unnecessary and was unfair to the rest of the book. 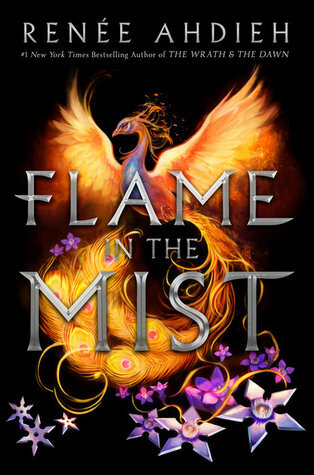 After I finished Allegedly, I picked up Flame in the Mist by Renee Ahdieh to make sure I read the group book. I’m really glad I did! The first 50 pages were EXCRUCIATINGLY slow, and it didn’t really pick up until about 100-200 pages in. I don’t know that I would’ve been able to get through it without the support of the readathon, so it was definitely a plus to have that experience. I’m glad I pushed through, though! I ended up really loving the story and I gave it 4 stars. It still took me 3 days to read this one, though, so by this point I knew I was extremely behind. 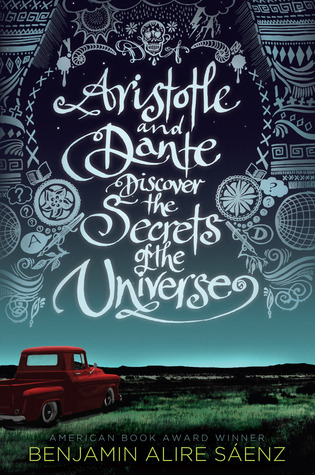 Finally, I picked up Aristotle and Dante Discover the Secrets of the Universe by Benjamin Alire Saenz for the LGBTQ+ rep challenge. I only got about halfway through as it was the last day and I was a bit burnt out at that point. However, I did end up finishing it in the next couple of days and gave it 4.5 stars! It was an amazing story and I completely fell in love with the characters. Not to mention the dog. Dogs get me every time. I was a blogger host and I did manage to do some of the blog challenges! I didn’t post the tag until day 3, but I did end up answering the questions then and it was super fun! I had recently read about half of the Slasher Girls and Monster Boys anthology, and my absolute favorite was Megan Shepherd’s story, Hide and Seek, so I did a villain’s synopsis for that story. It was super fun to write and hopefully intriguing to read as well! This was actually my host day! I personally talked about The Cellar by Natasha Preston and there were so many fabulous entries! I had a really fun time with the topic and hopefully everyone else did too. If you haven’t already, I definitely recommend you check out the winner and nominees’ posts! I didn’t end up posting the last few days of challenges, but I’m still happy that I got as many as I did! Whew, I think that’s it! Have you read any of these books? Plan to? Thoughts? Did you participate in this readathon or any of the challenges? I’d love to hear how you did! Again, apologies for disappearing on you- I hope to at least let you know in the future if I’m going to be gone. Hopefully you’ll see me again in a couple of days! Thanks for sticking around! ‹ PreviousHogwarts Cramathon- Fancasting Harry Potter and Yellow Recomendations! Next ›September Wrap-Up: Alphabethon, Apologies, and so many books! Absolutely, glad to hear it! Hope you enjoy! Yay! Agreed, it was really too bad. I’ll be looking out for the sequel to see if it’s improved though. YESSSS I’m so glad you love t too! Thanks! I’m looking forward to the sequel; hopefully it will pick up the pace. Omg YES. I was in that position as well and it’s totally worth it, I PROMISE. Sounds like you had an amazing week! 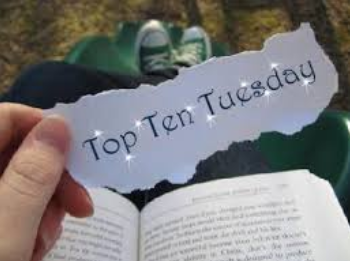 A Monster Calls is super high on my tbr and I hope that I can pick it up very soon! Definitely! Yay, you should! It reads extremely fast and it would definitely be conducive to your book-a-day routine, haha! It’s absolutely amazing and gorgeous, and I knocked it out in about an hour. Hopefully I can get around to purchasing it sometime soon. I’ve been reading a ton of Netgalley stuff recently so that I don’t just destroy my physical tbr pile and have to purchase a bunch more books to satisfy my reading cravings. Understood! That’s totally genius. I have a bunch of Netgalley books from… 2016… It’s horrid. I think it’s mostly just because A) I requested anything and everything at the time, and B) I don’t currently have an easily accessible ereader. Which of course is no excuse. Hopefully I can get to those soon!